With the Sheffield festival now in its ninth year and almost recognisable from previous years, Getintothis’ Miles Etchells found positives in a slightly damp affair. To generalise for those who don’t know, Tramlines is great and Sheffield is super. This writer’s leafy, hilly home-city has always seemed underrated by the rest of the country thanks to its bang-average city centre and underachieving football teams, yet Tramlines Festival has contributed to the Steel City’s new identity, based around its now strongest export – music. Sheffield has had a strong music scene for decades, which has helped to grow the careers of international acts from Def Leppard to Joe Cocker, Pulp to The Human League and of course the Arctic Monkeys. 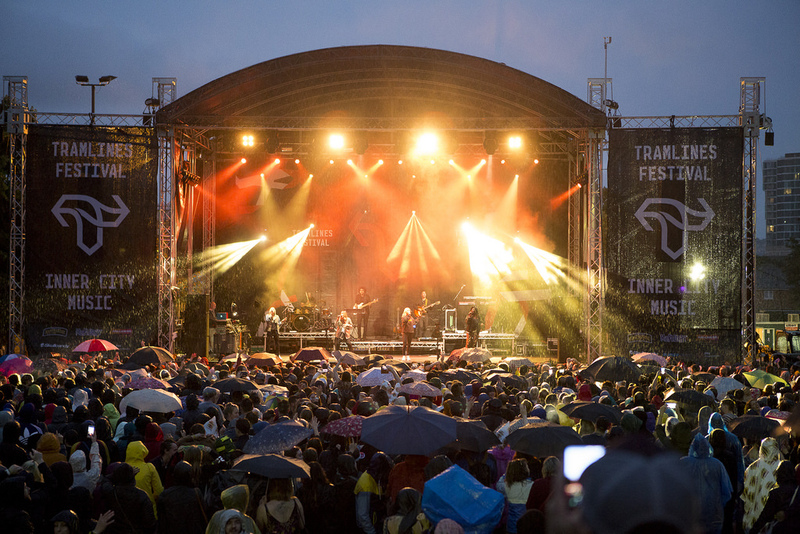 Tramlines, now in its ninth year, has sought to capitalise on the city’s love for music, and has led the spread of new inner-city festivals across the country. Like Liverpool’s Sound City, Tramlines started out as a festival spread out over key venues in the city centre, coupled with an outdoor stage set up on Devonshire Green. Again, similarly to its Merseyside counterpoint, as the festival has grown it has moved its epicentre away from the city centre. Although it is not as detached as Sound City’s North Docklands site, the main stage being in Pondarosa Park doesn’t have quite the same buzz as when everything centred around Division Street. While the Devonshire Green stage has played second fiddle since 2015, it still remains a key part of Tramlines, and this year hosted big performances from the likes of Kano, The Pharcyde, All Saints and The Coral. Unfortunately however, the venues and artists that make the surrounding area such an exciting place to explore during a spot of rain or a less appealing act were this year undermined by the festival. Gone was the City Hall stage, and notably absent from the programme and festival promotions were the acts and venues that make up the fringe festival, and rumours of bad blood and boycotts between the organisers and the city’s venues were circulating. Despite this apparent rift, soggy adventures into the likes of The Frog and Parrot, The Washington and The Old House were still possible and led to this writer stumbling across catchy, tight Manchester band Clay and much less interesting The Silverfish. 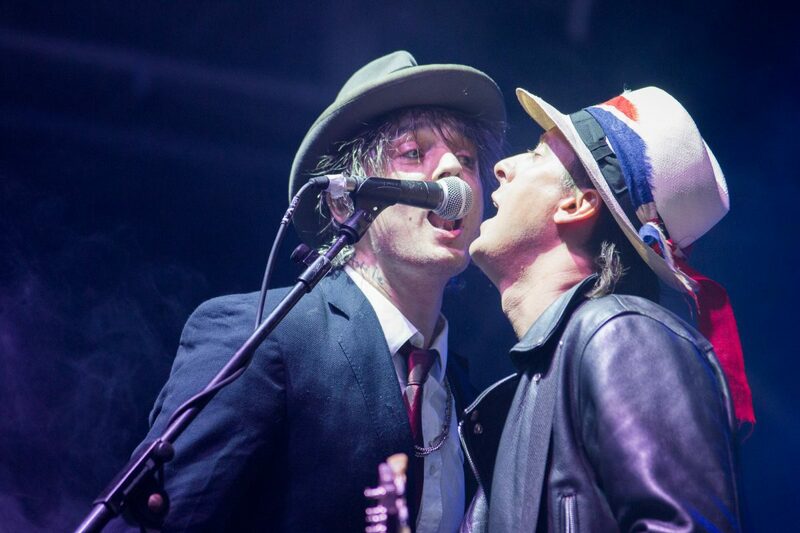 At the main stage The Libertines were disappointing, far too loose and cold with the biggest crowd of the festival, who in turn were too chatty and unengaged. All of this was exacerbated by technical problems, as speakers popped during the set, with several other bands also sounding a bit quiet. Sadly, there were other causes for disappointment and derision from attendees following the decision to separate the festival into day time and night time acts, with separate tickets required for entry to each. While in previous years your wristband had meant access to veteran rock acts during the day and underground bassline raves at night, to enjoy all of a festival that was free only 5 years ago would now cost more like £80. It must be said that this still represents average to decent value in 2017, and there were several great performances that could be used to justify the price (more of which below). It cant be argued that this year there were more established names than ever, yet it is questionable whether this is really what people want. Certainly, this year more than any other there were big timetable clashes every day, and what with the detachment of the main stage and the dissociation from the fringe festival the vibe was less of community and togetherness – barring of course the now obligatory Jeremy Corbyn chants – than any other Tramlines this writer can remember. It also seemed to rain more than ever, which no doubt contributed to the slightly dampened spirits. However, there is still a lot that Tramlines got right. For starters, there was a strong commitment to recycling, a big improvement in toilet facilities and quick action to reduce bar queues after the big waits on Friday. Further, this year as ever, the variety of genres that were available should be applauded, stalwarts of reggae, pop, rock, hip-hop, soul, grime, indie, house, garage, bassline, drum and bass and more were available to anyone with both wristbands. Such a spread of styles is refreshing compared with line-ups to other festivals, particularly some of the inner-city ones that look like they have been lifted straight from ten years ago. Hopefully Tramlines can continue to do what it does well, but try and remember what an important role it plays in complimenting the Sheffield music scene, and contribute to supporting the all of the city’s grassroots venues and acts. This is vital for not only the continuation of Sheffield’s amazing musical exports, but also for its identity in the post-industrial UK. Loyle Carner – Tonnes of energy, great bars and delivery, and infectious enthusiasm in his performance, all complimented by Rebel Kleff’s strong beats and occasional lyrics. Carner has a great debut album and was superb live – shame his set was so short! 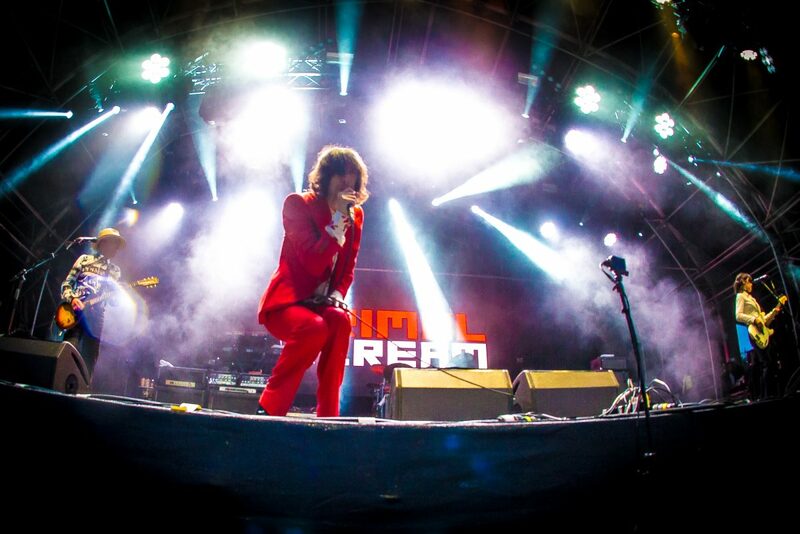 Primal Scream – The Scottish veterans were typically groovy and tight on their Saturday night headline slot, and helped to warm a rather soggy crowd. The mix of country-rock anthems and madchester bangers in their catalogue meant this set was a standout. Toots and the Maytals – The reggae legends got everyone moving, singing and counting ‘huhs’ (10 times!). Toots himself was a slightly tetchy stage presence, but it seemed born of perfectionism, and the overall vibes were great. Metronomy – Playing the closing set of Sunday night the group brought their particularly bleepy brand of indie to Sheffield and won this writer round with a tight live show. Props to Joseph Mount’s strong falsetto and harmony game. Twin Atlantic – Another from Glasgow’s conveyer belt of talent, the indie rockers played a solid show that eclipsed their Friday night main stage successors The Libertines. The Age of L.U.N.A – An interesting blend of hip-hop and R&B, with big beats and strong choruses, certainly this writer wont be the only audience member checking them out after their set. Lady Leshurr – The Birmingham grime queen was lively, humorous and eager, an attitude that was reciprocated by the Sunday crowd. Despite her performance seeming light on original material and over reliant on covers, the relentless word-play of her singles made for chuckling aplenty.